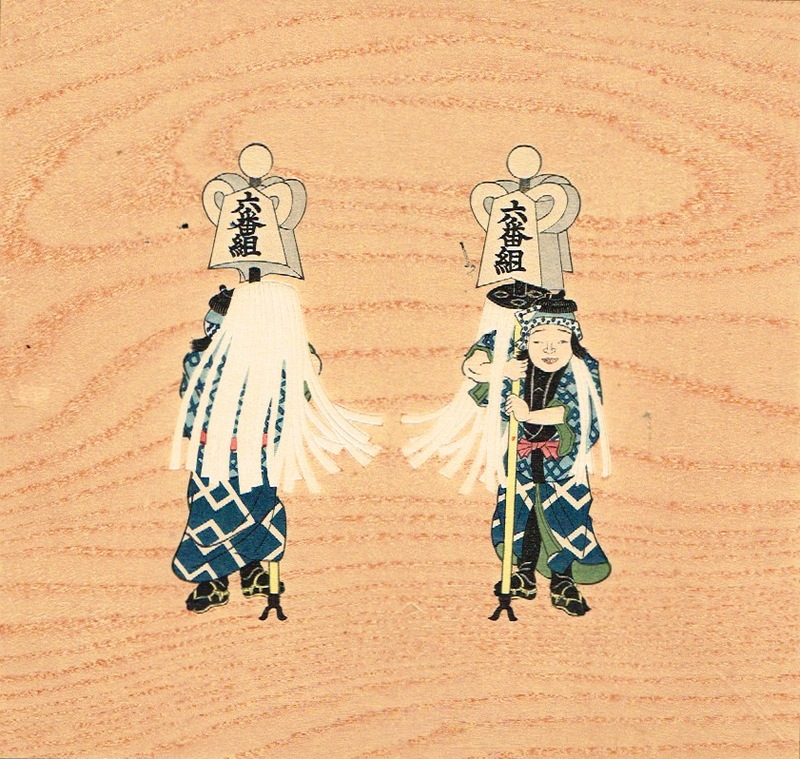 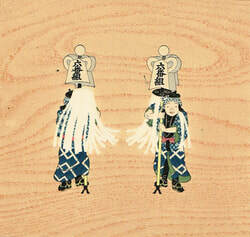 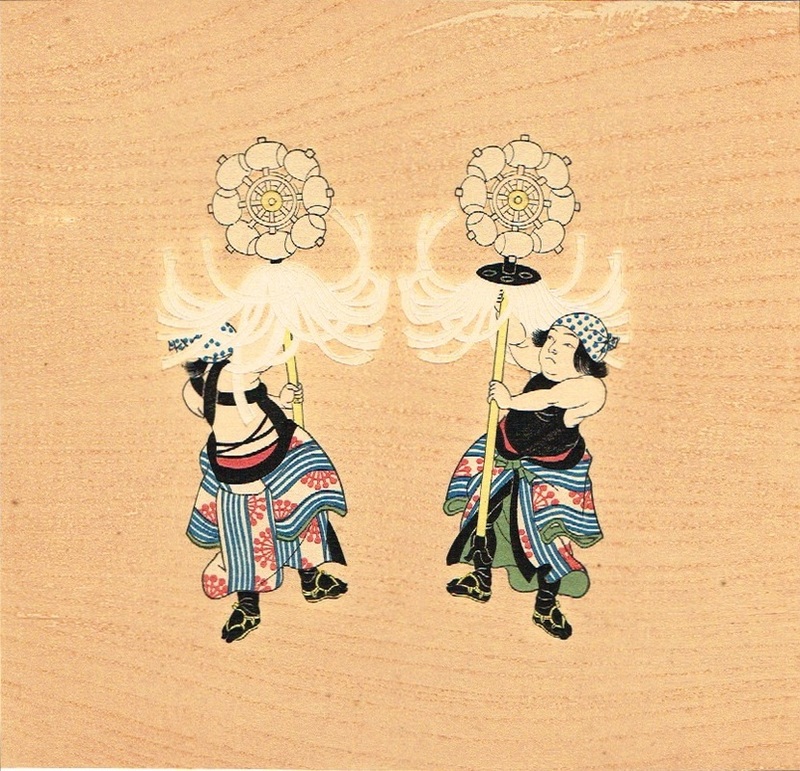 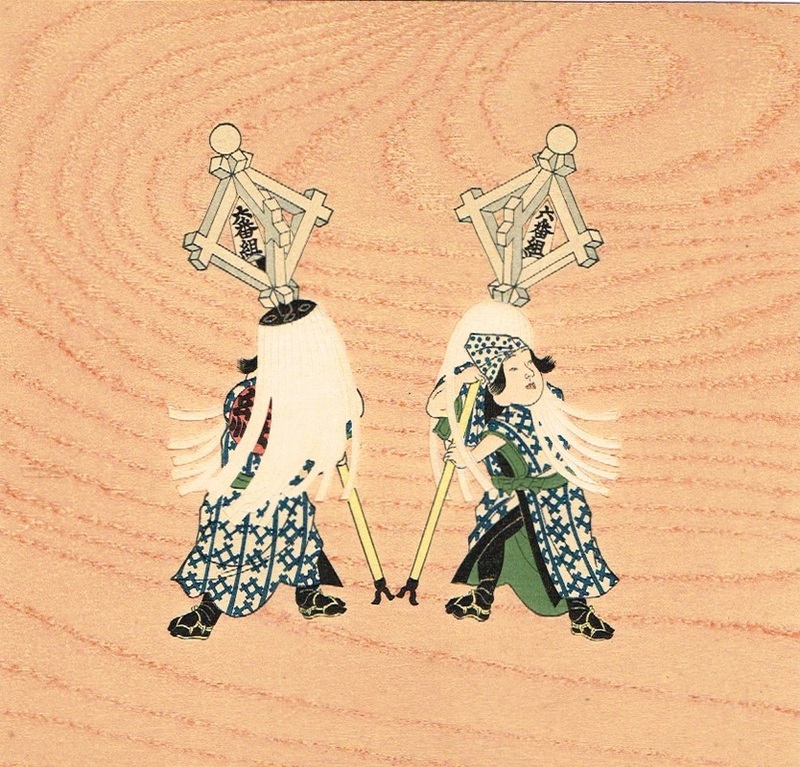 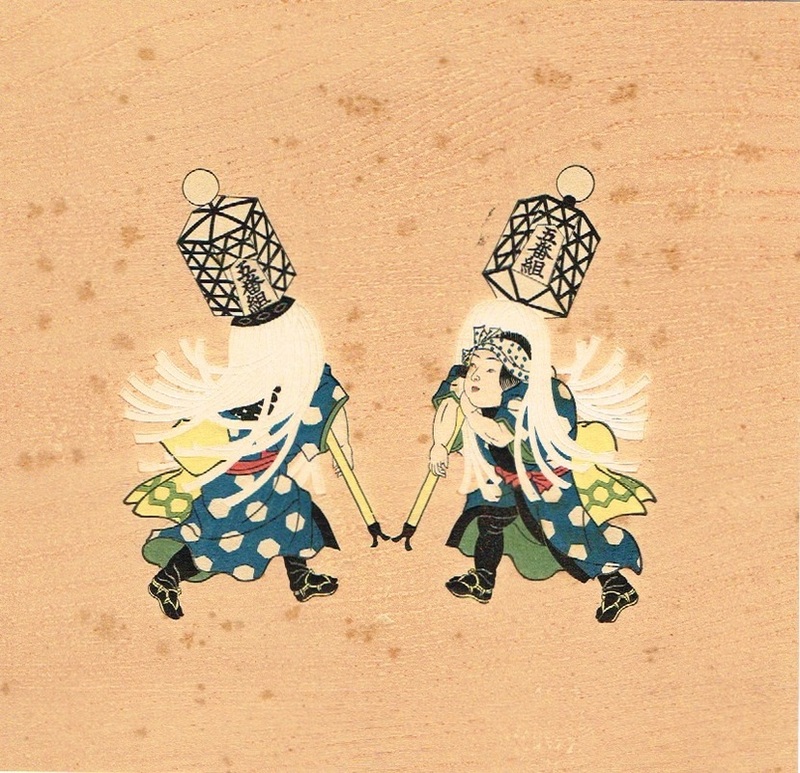 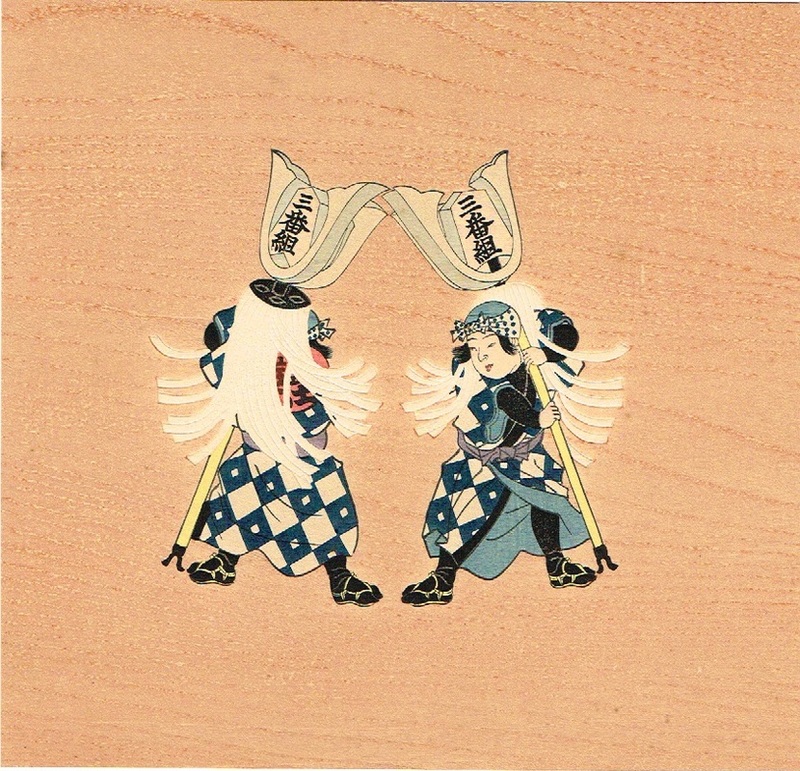 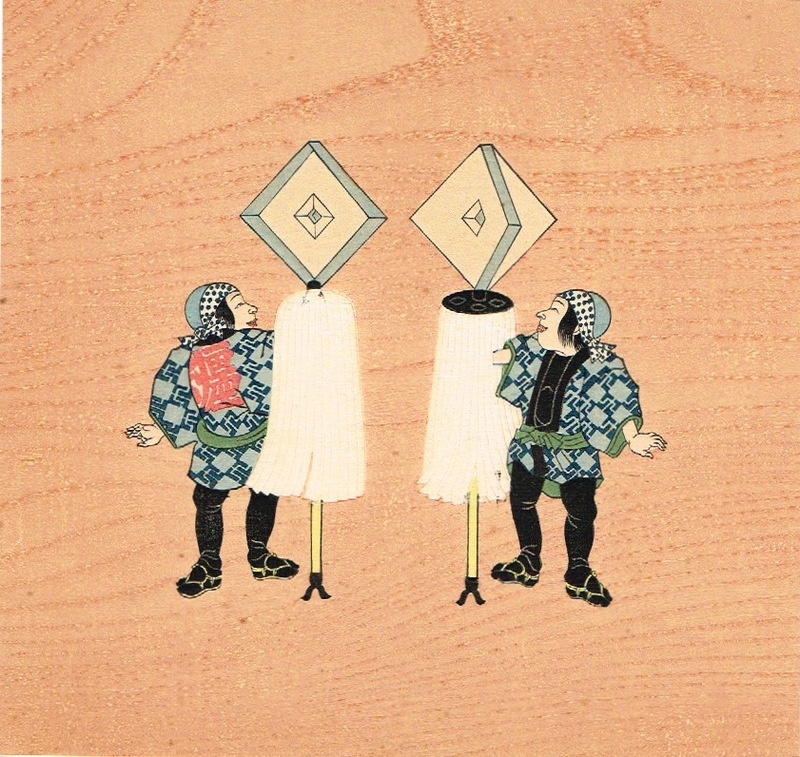 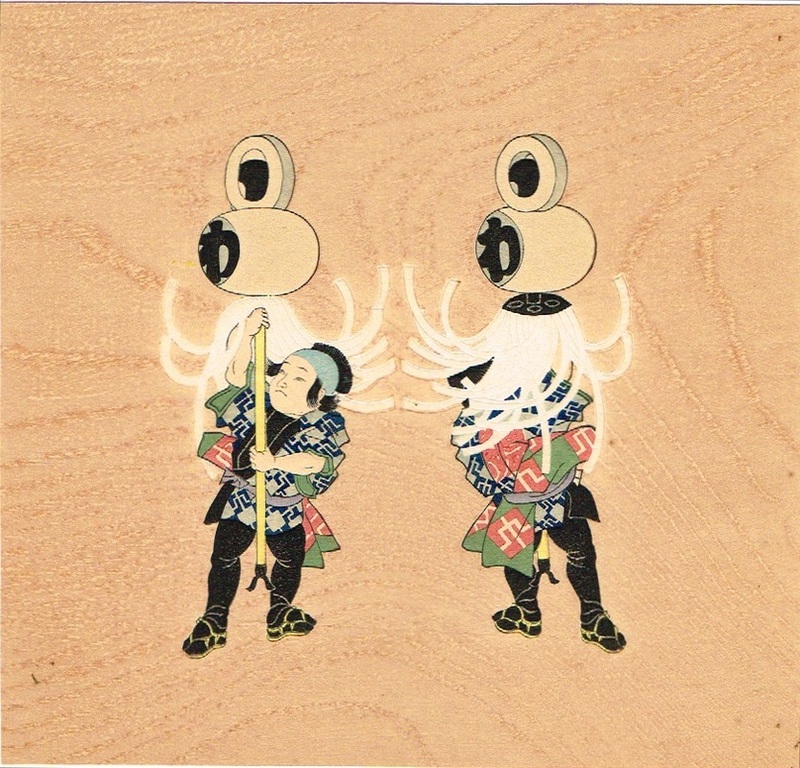 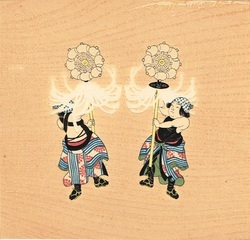 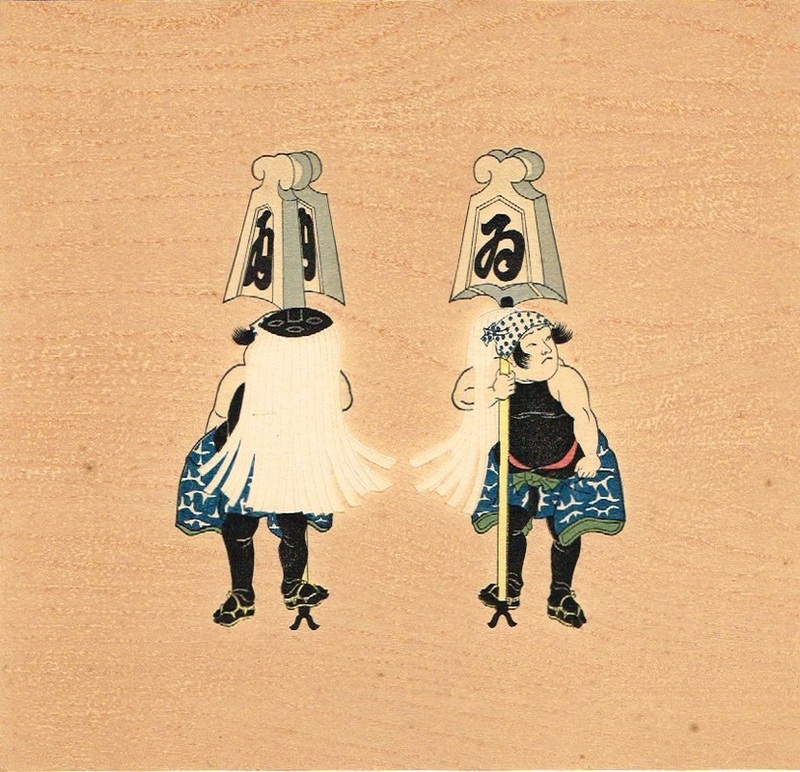 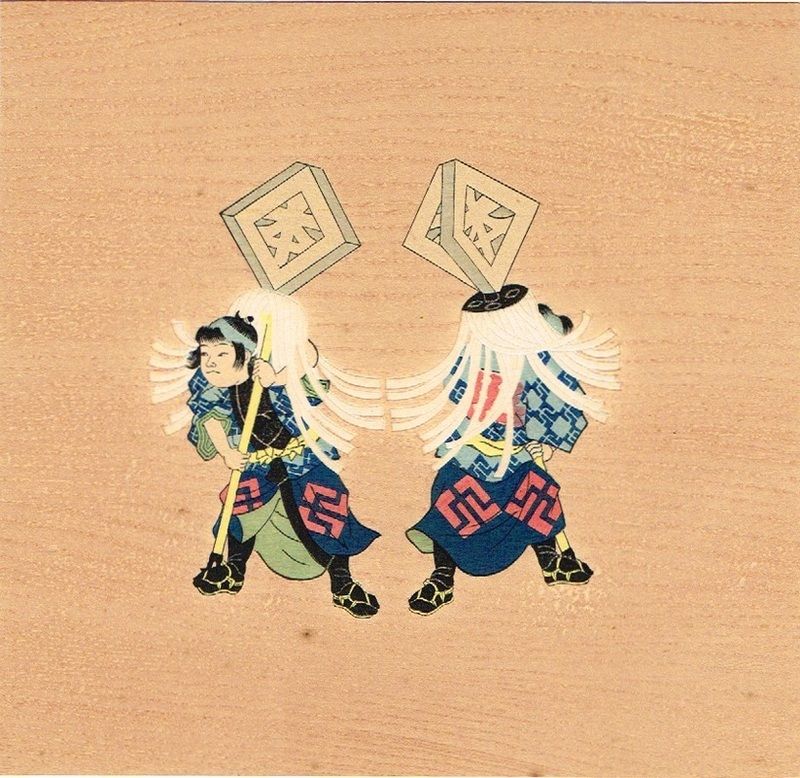 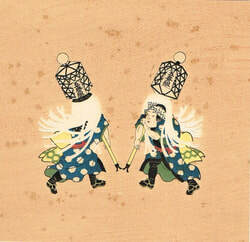 The 12 prints show banners (matoi) of Edo's fire fighter brigades (irohagumi) carried by two children who perform a kind of dance at a parade which usually took place at the beginning of January from 1875 onwards. 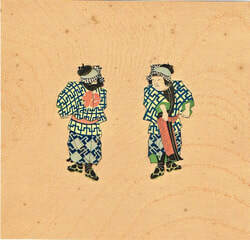 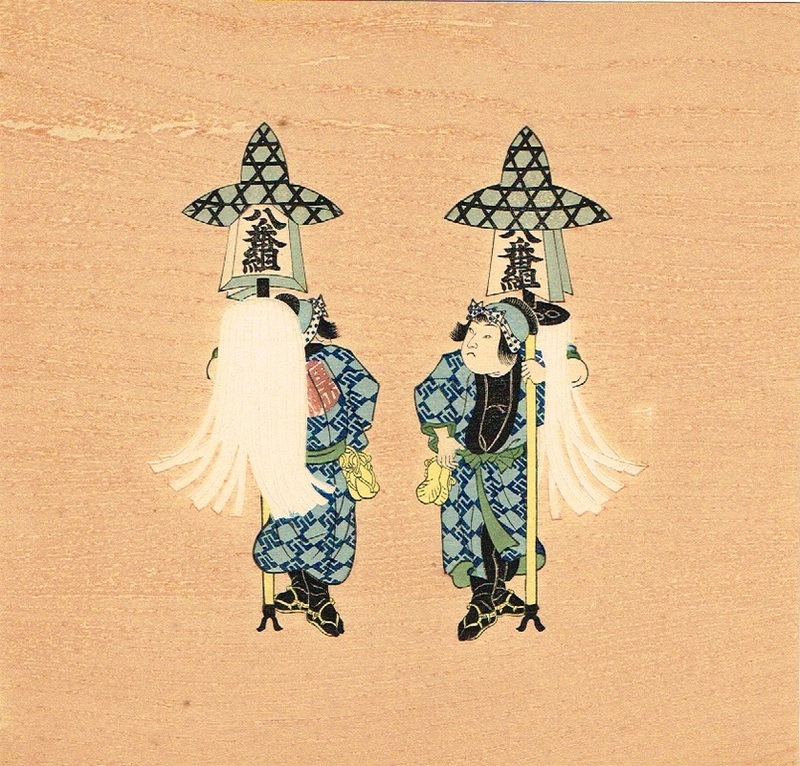 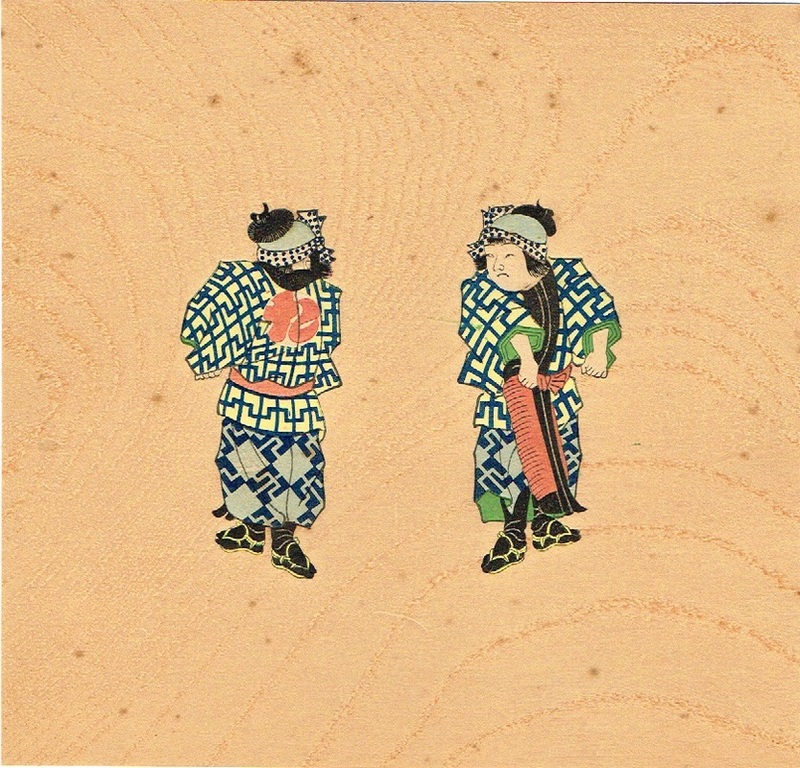 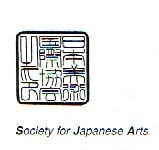 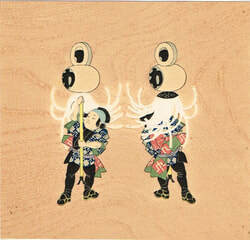 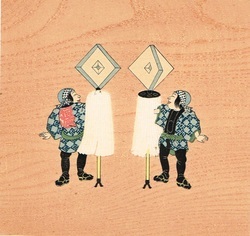 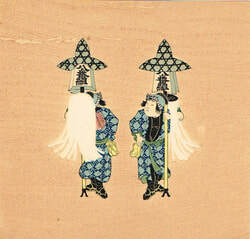 The prints were manufactured in surimono quality (karazuri; itamemokuhan/blind printing; imitation of wood). 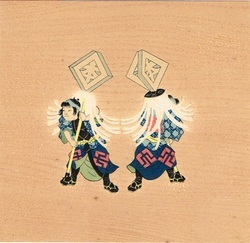 They are not signed. 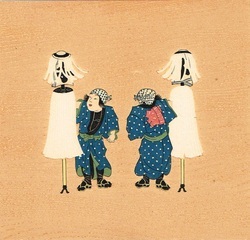 Date: 1st half of 20th century.